Driving hazards like texting and driving, drinking and driving, road aggression (road rage), eating and driving, and driving in bad weather are all things that can add up to some very dangerous driving. Check out our dangerous driving statistics below and then be sure to enter your zip code above for free auto insurance rates! How dangerous are the roads? Well, with cell phones, computers, GPS systems, angry drivers, sleepy drivers, and even the weather to pit your driving skills against, you may think that you need an armored Humvee to make it through the mean streets alive. However, armed with the information in this infographic, you can at least be aware of the various challenges that you’re up against every time you get out on the road. No one can control another driver. The most we can all do is be the best drivers that we can be and try to avoid the hazardous behaviors listed below. Even one accident can result in significant increases in your insurance premiums. Even worse, more and more municipalities are cracking down on moving violations like texting while driving, resulting in heavy fines and even jail time for repeat offenders. The bottom line: there are a million ways you can make a little mistake and end up paying a big price out on the road, but the people who pay the ultimate price are the ones who die in traffic accidents. Cell phones have changed the world in so many ways. They connect people across the country and even the world. They let us contact emergency services at the drop of a hat, no matter where we are, which can save lives. Unfortunately, using cell phones while driving is a primary reason why people need to call for help in the first place. Cell phones are responsible for 24,000 injuries per year and 995 deaths. Texting drivers are even more dangerous than drunk drivers. Drunk driving only makes you 4 times more likely to crash your car (although we all know that there’s no “only” when it comes to car crashes). Texting while driving increases your chances of crashing by a factor of eight! That’s twice as bad as getting behind the wheel drunk – and no one would do that! In terms of distance, a drunk person needs an estimated 4 extra feet of braking distance compared to a driver who hasn’t had anything to drink. Meanwhile, texting drivers need 70 extra feet! Nobody has an extra 70 feet to spare when driving around — maybe on the highway, but definitely not in the town or a city. 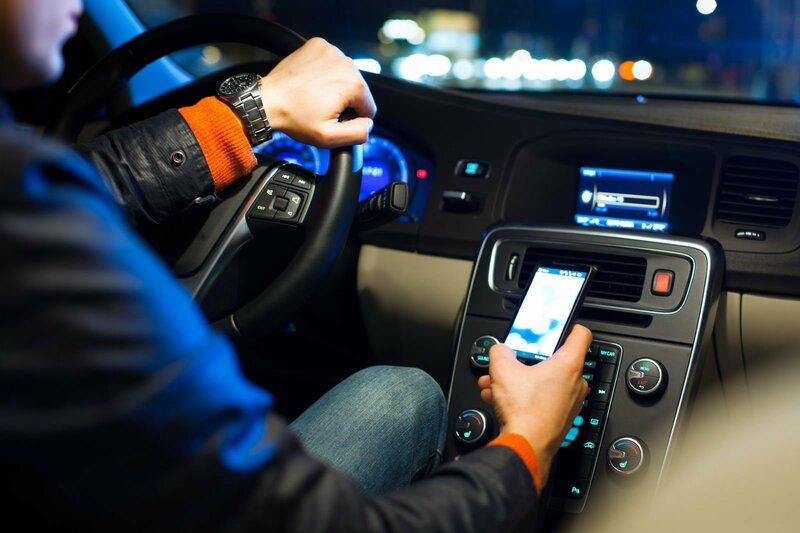 To make matters worse, 21 percent of drivers admit to texting while driving and a whopping 46 percent of teens admit to texting while driving. Technology isn’t the only thing out there trying to kill you on your morning commute. The weather is also a powerful foe. We’re all taught to alter our driving habits according to the weather and leave ourselves extra time to arrive at our destinations, but with the hurried pace of modern life, we seldom do so. Could bad weather anger drivers and actually make them even worse? This bad behavior results in more than 1.5 million weather-related accidents every year. And that number only accounts for the 43 percent of accidents that actually get reported. The remaining more-than-half are under the radar but still end up causing property damage and injuries/death. Of the numbers we do have access to, 673,000 injuries per year are attributable to weather, with 7,400 deaths. This bad behavior results in more than 1.5 million weather-related accidents every year. And that number only accounts for the 43 percent of accidents that actually get reported. Everyone knows that alcohol and driving don’t mix. We’re told again and again how dangerous it is to drink and drive, but we seldom come face to face with the statistics behind it. For starters, almost 11,000 people die every year in accidents related to drunk driving. Of those, more than 3 youths die every day. The average for a drinking and driving-related death is 1 person every 50 minutes. The average for a drinking and driving-related death is 1 person every 50 minutes. That means that when you leave your house for your standard 8-hour work day, by the time you drive home, 9 people are dead from accidents connected to drinking and driving. These deaths make up about one-third of all traffic deaths. There are many other causes of accidents and deaths out there, but what do all of these hazards of unsafe driving do to your insurance costs? Well, for starters, the average cost for an insurance policy in America is $1,567. Of that annual fee, 40 percent of it goes to cover liability costs. This may be connected to the fact that 1 in 6 drivers is uninsured — that’s a staggering number, especially given how many Americans lack health insurance and how expensive medical costs can be after an accident. Speaking of costs associated with accidents – even just one accident causes a more than 10 percent jump in your auto insurance rates. Two accidents bumps it up to about 30 percent more. If you even get to four accidents, count on your auto insurance just about doubling. Hazards in auto insurance can be costly in all kinds of ways! You don’t have to pay more than you should for auto insurance, though. To see how much you might be able to save on your auto insurance just enter your zip code below for FREE auto insurance quotes!